If you’ve ever gone looking for rails, you know they are usually inaccessible. They live in tall dense marsh grass and won’t come out for anything except the sound of another rail — and then only in the breeding season. But there is in fact a truly inaccessible rail. 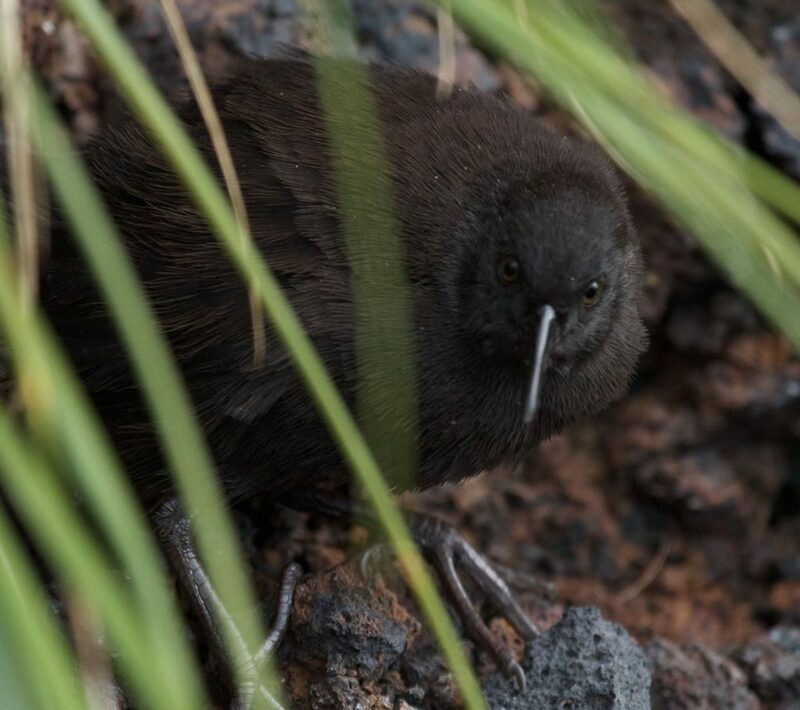 The Inaccessible Island rail (Atlantisia rogersi) is the smallest flightless bird in the world, extremely rare, and vulnerable to extinction. He lives only on Inaccessible Island. He made news in October because he cannot fly yet new DNA studies show that his ancestors, related to black rails, did fly more than 2,300 miles from South America over the South Atlantic Ocean to Inaccessible Island. They arrived 1.5 million years ago. The island is called Inaccessible because it is. It’s almost impossible to land on the narrow beach — most attempts fail — and the cliffs are so steep that the top is inaccessible. The island’s walls dwarf the people exploring the beach, below. Fortunately this tour group got lucky. They were able to land and they found the rail. A member of the group, Brian Gratwicke, took these photos. Read more about the origins of the Inaccessible Island Rail in this article from Researchgate. And odd observation. Pittsburgh’s about 40 degrees north and Inaccessible Island is about 38 degrees south. Pittsburgh’s about -80 degrees east, and Inaccessible is about +12 degrees west. Another way to see this comparison: the Southern Hemisphere has much less land mass (much less!) than the Northern Hemisphere. 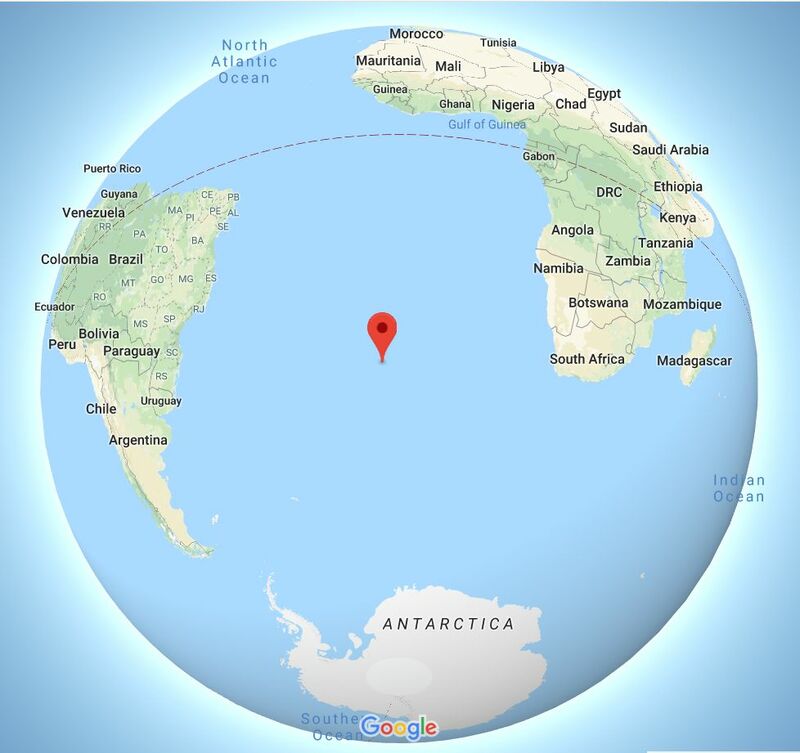 Inaccessible’s in the middle of a vast area of ocean. Pittsburgh’s in (well sort of near) the middle of a large continent.